Synthesis Group 2019 (SG2019), formed in April 2016, is actively working to synthesize and integrate research conducted across DCO’s four science communities to realize a new understanding of deep carbon science and fully capture DCO’s achievements. The Deep Carbon Observatory program is truly exceptional in its goals and scope. Carbon is stored and transported in all three states of matter: gas (e.g. by several different kinds of volcanic emissions), liquid (e.g. in hydrocarbon reservoirs), and solid (in graphite and diamond, as well as more than 400 other carbon-bearing mineral species). It is present in significant quantities in all the major reservoirs of our planet: the atmosphere, the oceans, the crust, the mantle, and the core, and is essential to living organisms. The ubiquity of carbon, coupled with its pervasive influences on the physics, chemistry, and biology of Earth systems from surface to core, justified the large-scale, international, cooperative decadal DCO program that was launched in 2009. With the culmination of the program in 2019, DCO leadership recognized the need to ensure DCO’s achievements are shared widely and the legacy of DCO into 2020 and beyond is carefully considered. Planning is underway for products and activities explaining DCO’s scientific discoveries and findings. Synthesis Group 2019 (SG2019), formed in April 2016, is actively working to synthesize and integrate research conducted across DCO’s four science communities to realize a new understanding of deep carbon science and fully capture DCO’s achievements. This synthesis process aims to elevate the collaborative efforts of this global research initiative, making the whole even greater than the sum of its parts. Should you have suggestions, questions, or comments regarding DCO’s synthesis process, please share them with the SG2019 members. Participants in the 2015 Synthesis Planning Workshop held at the University of Rhode Island. The workshop focused on possible synthesis products and activities, and informed a plan for carrying out these initiatives. View workshop agenda and participants. Credit Sarah Flickinger. The goal of Task Force 2020 (TF2020) is to sustain and build upon the momentum and impact of DCO. TF2020 is charged with identifying structures and organizations that will keep the DCO legacy alive by proposing new ventures capitalizing on DCO’s international network of scientists, and building upon their many scientific achievements. Should you have suggestions, questions, or comments regarding DCO’s legacy initiatives, please share them with the TF2020 members. Task Force 2020 at their first meeting at IPGP, France, in May 2016. 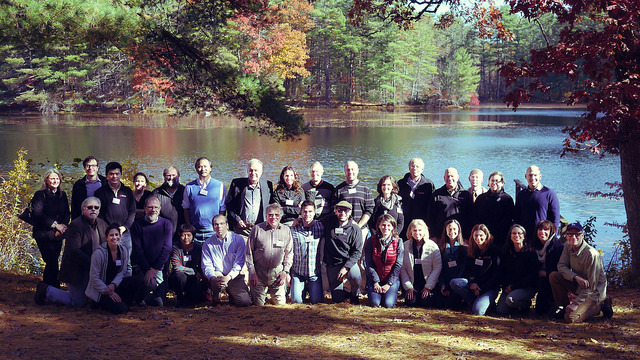 The inaugural meeting focused on evaluating the need and the level of community support for sustaining an international cooperative effort on Deep Carbon past the decadal DCO program. TF2020 decided to conduct a survey of the DCO community in order to focus Task Force efforts on the most important and promising initiatives. 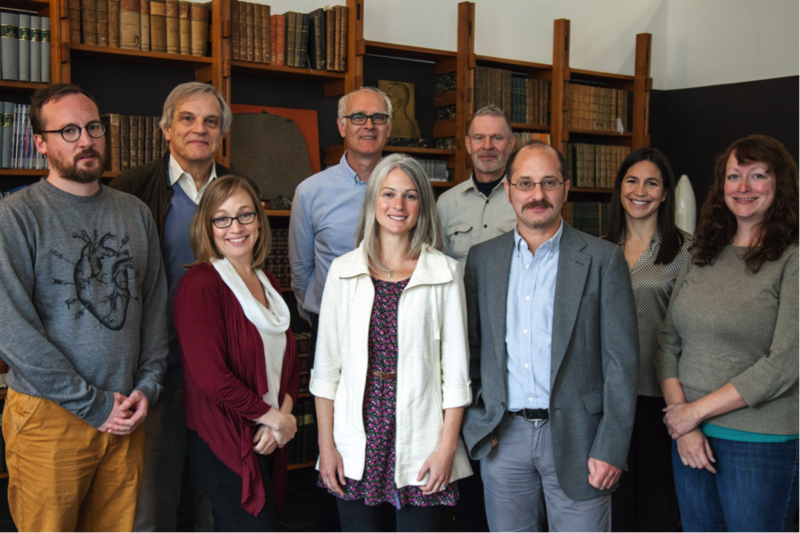 From left to right: Nicolas Coltice, Claude Jaupart (Chair), Karyn Rogers, Uli Harms, Anat Shahar, Robert Hazen, Antonio Costa, Elizabeth Cottrell, and Beth Orcutt. TF2020 member Jun Tsuchiya was unfortunately unable to attend the meeting. Credit Claude Jaupart.